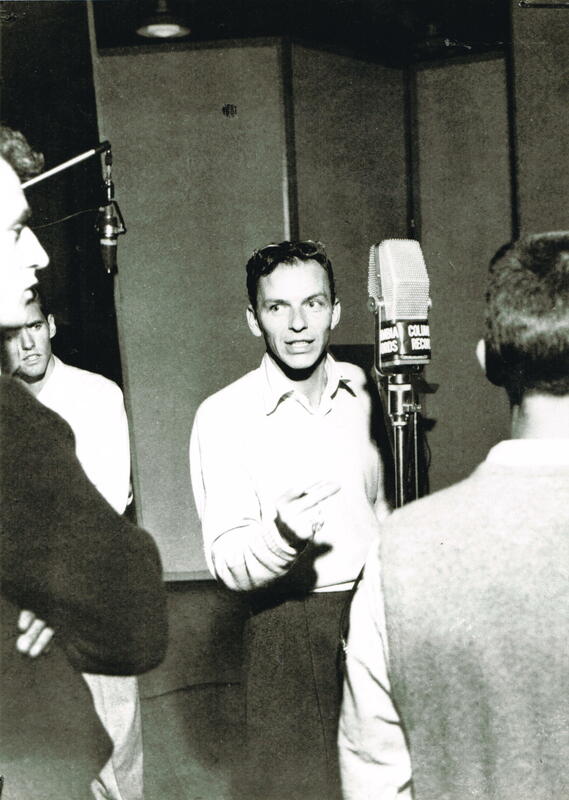 Frank Sinatra at a Capitol Records recording session in Los Angeles, CA, circa 1954. Photo © 1978 Sid Avery. Courtesy HBO. Director Alex Gibney is on a roll. The Oscar and Emmy Award winner’s latest two documentaries landed prestigious back-to-back premiere time slots on HBO, and deservedly so. You, too, will be baffled by the continuing appeal of its wacky doctrine and its nutty-as-a-fruitcake founder, as well as the alarming tactics used by him, his paranoid successor and militaristic church henchmen to keep their flock in line. After listening to eight, former high-level acolytes–including church administrators and Hollywood A-listers–admit their shame at being once willing Scientology pitchmen and women, you’ll find yourself mentally connecting the dots with other similarly insidious cult movements. And, I guarantee, you will never look at Tom Cruise the same way again. Hoboken native Frank Sinatra was apparently always a scene stealer. Photo circa approximately 1916, courtesy HBO. In sharp contrast, director Alex Gibney’s second HBO opus in as many weeks, Sinatra: All or Nothing at All, will lighten your mood appreciably, as the man and his music take center stage in this fascinating, fast-paced and supremely entertaining two-part, four-hour profile debuting on HBO tonight, Easter Sunday, April 5, 8:00 – 10 p.m. ET/PT, and concluding Monday, April 6, 2015, 8:00 – 10 p.m. ET/PT. 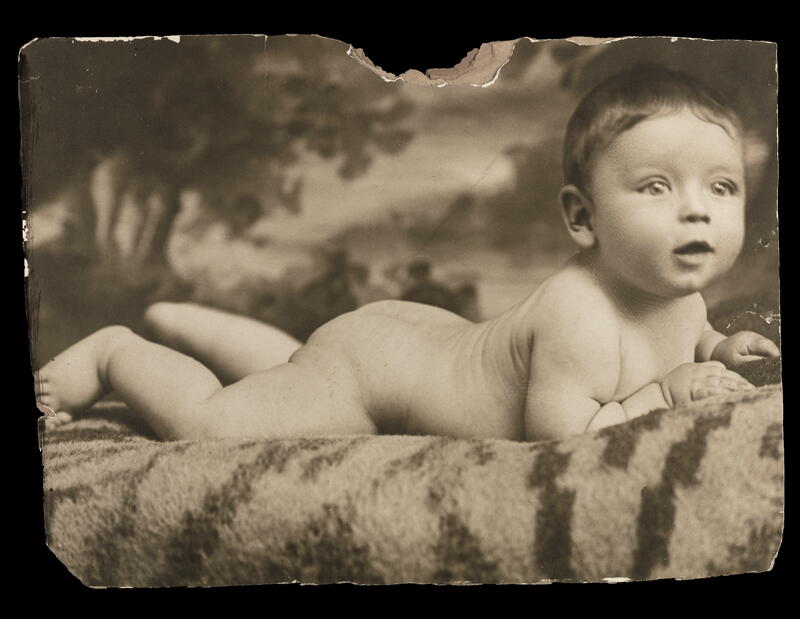 The documentary signals the centennial of Frank Sinatra’s birth on December 12, 1915. 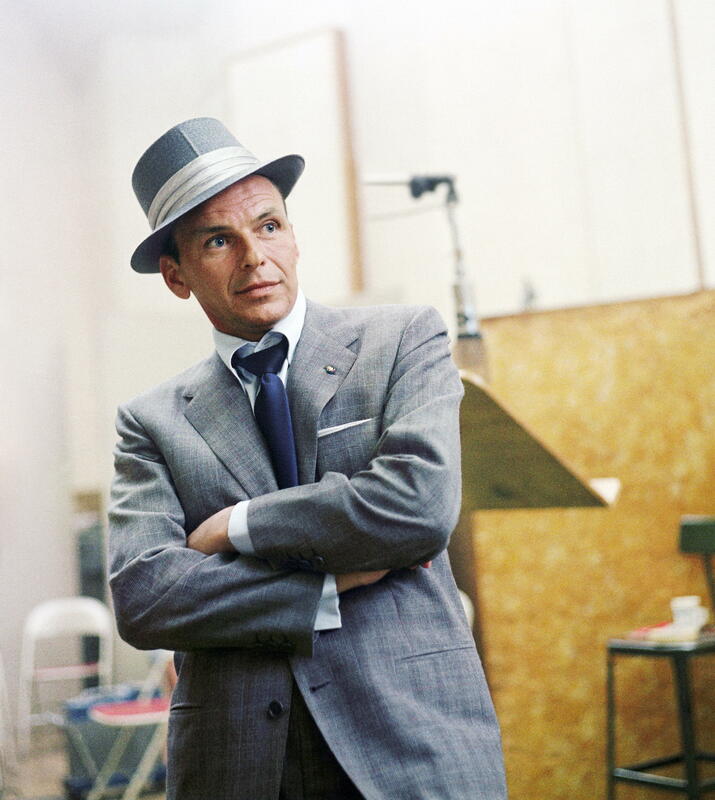 Gibney frames this celebratory biography with the music and memory of Frank Sinatra’s 1971 “Retirement” concert at the Ahmanson Theatre in Los Angeles. The extraordinary concert vignettes, rarely if ever seen except by the Hollywood elite who actually attended this concert, capture the performer at his seasoned best. Sinatra apparently chose 11 songs in particular to propel his audience through the evolution of his career. Gibney ran with that concept, using the 11 songs to introduce and serve as a backdrop to Sinatra’s personal and professional biography. As a young man on the move, Frank Sinatra rose up through the ranks touring on the road, charming masses of adoring bobby-soxers at the Paramount Theater in New York City and capturing the heart of the nation on records and the radio before he segued into feature films, TV and Las Vegas. Photo courtesy HBO. Clips from various vintage TV interviews with Sinatra provide the film’s key running narrative, a ploy that effectively allows him to tell his own story and, most importantly, to set the record straight as he saw it. He is the most visible (on-camera) narrator, which enhances the evergreen value of this film going forward. Other “witnesses” (including noted journalists, professional colleagues and collaborators, his children, ex-wives and friends) are only heard in voice over for the most part. No one is allowed to steal the spotlight from the Chairman of the Board. Aside from its fabulous music track, Sinatra: All or Nothing at All takes no prisoners as it addresses and answers many previously unanswered questions about Sinatra’s childhood and parents, his progression from band singer to teen idol, movie star and Las Vegas entrepreneur, his career missteps, his courtship of and problematic association with his wives, lovers, the Kennedys and the mob. While the story of his son’s kidnapping turns out to be far less explosive than one would expect, more complex revelations cover his association with Sam Giancana, his scuffle with the HUAC and the extent of his condemnation of racism and his support for racial equality. Frank Sinatra’s earliest period of success coincided with my parents’ youth (Sinatra and my dad were both born in 1915), so he was for them what the Beatles were to my generation. I was drawn into Sinatra’s story with the arrival of Mia Farrow, and I was hooked by the media frenzy they engendered during their inexplicable May-December romance and brief marriage. Along with the rest of teenage America, I loved Farrow as the young anti-heroine in the hit TV drama, Peyton Place, and, subsequently, for her performance in one of my favorite films, Rosemary’s Baby. My friends and I devoured news reports of the much ballyhooed Sinatra-Farrow cruise to Cape Cod, featuring the lovebirds’ lofty contingent of chaperones, including Sinatra’s pals Roz Russell and Claudette Colbert. My friends and I even trekked down to the Hudson River to see if we could catch a glimpse of Sinatra’s yacht as it made its way out-of-town, with boatloads of paparazzi in hot pursuit. 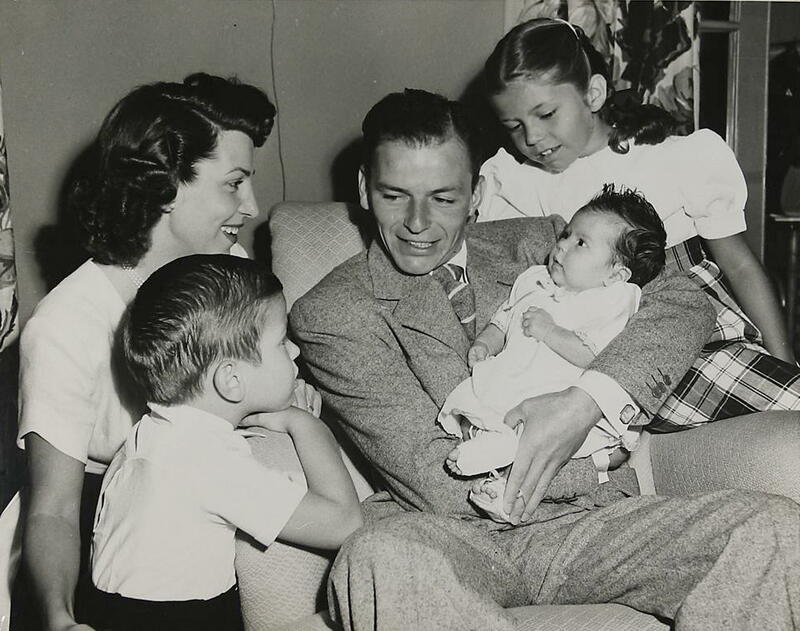 Frank Sinatra, with his first wife, Nancy, and, from left: son Frank, Jr., daughters Tina and Nancy, Jr. Photo courtesy HBO. I found Farrow’s commentary in this film to be especially informative and fair-minded. Other highlights include recollections from his son, Frank, Jr. (who refers to his dad as “Frank Sinatra,” throughout the film); Sinatra’s daughters Nancy and Tina; his first wife, Nancy, Sr.; and, surprisingly, from Harry Belafonte and former friend and lover Lauren Bacall. There are eye-opening revelations about the roles played by Joe, Jack and Bobby Kennedy, femme fatale Ava Gardner, close pal Sammy Davis, Jr., mobster Sam Giancana, and the Rat Pack in Sinatra’s life. His efforts to bite the bullet and remain current and competitive in the music industry, despite his disdain for Rock ‘n’ Rollers and the Hippie movement of the 1960s, are explored in entertaining vintage TV clips. The grainy footage of Sinatra trading barbs and swapping tunes with Elvis Presley is especially priceless. This entry was posted in Cable, Film, Music, Radio, TV and tagged Alex Gibney, American Songbook, Frank Sinatra, HBO, Lauren Bacall, Lawrence Wright, Mia Farrow, Music and Musicians, Sinatra All Or Nothing at All, Singers, The Rat Pack. Bookmark the permalink. I believe my first exposure to Sinatra may have been the film, SUDDENLY, seen on TV at an early age. That’s the one where he plays a hired assassin out to get Eisenhower from a high window overlooking Eisenhower’s route while visiting a small town. (Sound familiar?) I later saw him on the big screen in ROBIN AND THE SEVEN HOODS and became a confirmed Rat Pack fan. I saw THE MANCHURIAN CANDIDATE later that year, also on the big screen. I also enjoyed his top 40 hits of the time, “Strangers in the Night,” “That’s Life,” and his duet with Nancy, “Something Stupid.” Over time I gravitated more to Dean Martin, thanks to the Matt Helm films and seeing his earlier films on TV, e.g. the Martin and Lewis comedies and RIO BRAVO. But, decades later, I realized that I had a stack full of Sinatra albums on the shelf, but none by Martin. I developed new respect for Sinatra after listening to Mark Simone’s radio program, “Saturdays with Sinatra,” in which he would play old recording sessions and we got to listen to his working process and how he would work on every single line and if it didn’t work, he’d try it another way and even call the songwriter (no matter what time of night it was) and ask for help. If something simply didn’t work he’d drop it and go on to the next song. Dean Martin, in contrast, would go into the studio, do each song in one take and then head out to the golf course. Sinatra worked hard at it and tried more challenging material all his life. Excellent! One of the things that is stressed in Alex Gibney’s fascinating SINATRA bio-pic is that he worked very closely with his musical arrangers, with whom he developed strong, lifelong professional relationships … and that he really enjoyed the recording process. Instead of recording in a booth, he stood in the middle of the orchestra at each recording session, and he would even simultaneously conduct the orchestra at times. The contrast between Dean and Frank, as you relate it, rings true to Dean’s laid-back professional persona. I came away from SINATRA: ALL OR NOTHING AT ALL with an understanding of why Sinatra’s career lasted as long as it did, as well as heightened respect for his talent. The film really showcases the music and you see and hear, firsthand, why he blew everyone else out of the water and continues to do so.